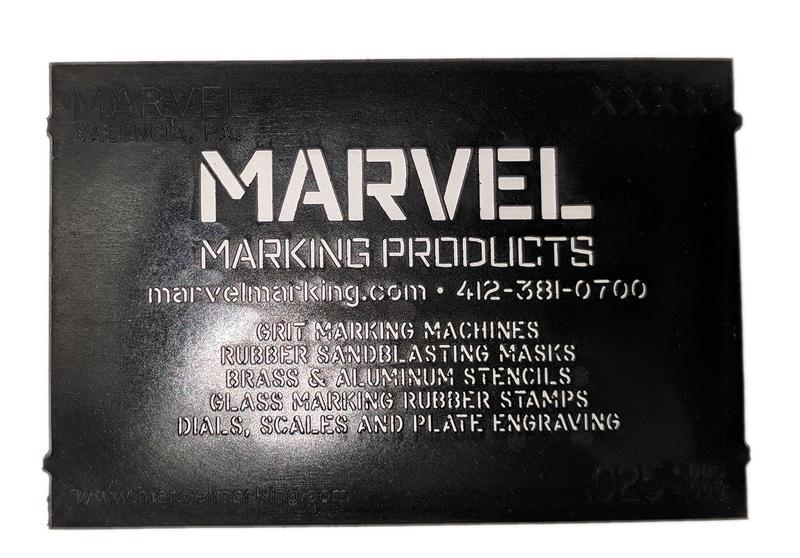 Marvel manufactures Grit Etching Machines and Rubber Masks that are widely used throughout the glass, door, and window manufacturing industries for general logo marking, as well as for SGCC certification and thickness marking. Marvel's Grit Etching Machines are easy to operate, and provide crisp, clear, repeatable marks, with simple change-out operations for switching between types or glass thicknesses. The Model 603B "Benchtop" grit etching machine is our most popular glass marking machine. This model is controlled using a foot switch, allowing for easy operation in a production environment. 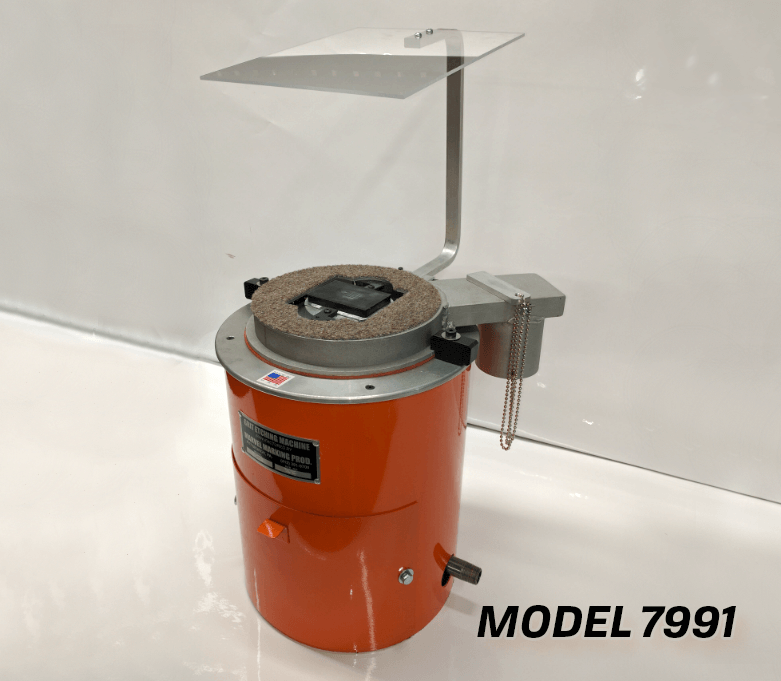 The 7991 is the same base model design as the 603B, and includes a vacuum system for dust collection, making for cleaner operation. Excess grit is collected in a holding can to be reused. This is also considered a "benchtop" model. The Model 5152 grit-etching machine is designed for marking items in the field, or for shorter production runs. This handheld model requires the glass being marked to be oriented in a vertical position, whereas the 603B and 7991 are great for assembly line style production where the glass is laid horizontal, such as when it is coming off of an air table. The maximum marking area is approximately 3” wide x 1-1/8” tall. The Model 5152 is controlled using a hand trigger. 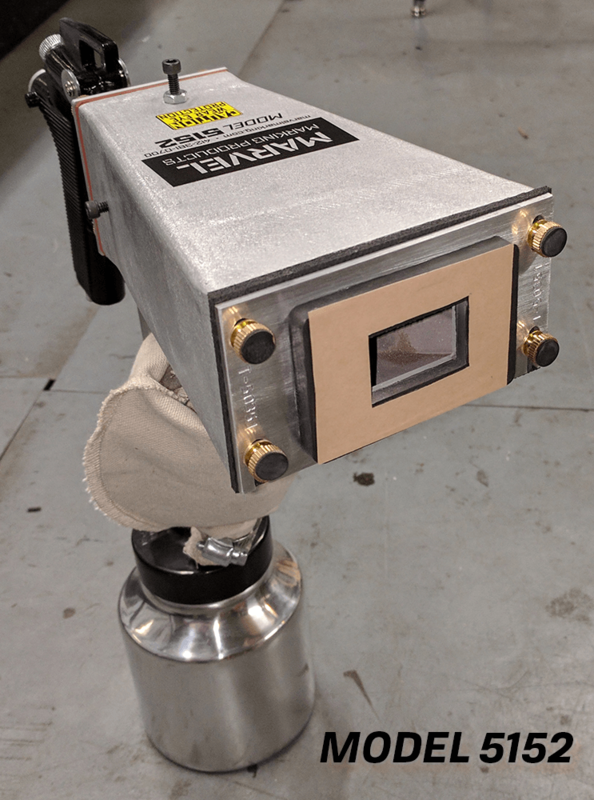 The Model 7995 features a vacuum unit as well, and is what we consider to be a "floor model", as it has a larger footprint than the 603B/7991. These machines are popular with our high volume customers who etch larger layouts in their glass. This model is also controlled using a foot switch for operation.